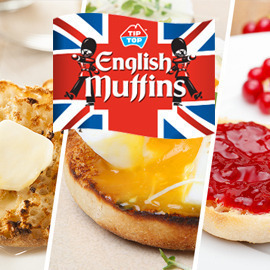 Help mum express her creativity with English Muffins and music! Hello eYeka, Crispy on the outside, soft and fluffy on the inside, Tip Top English Muffins are ‘Australia’s favorite English Muffin’. Mums love these little beauties, as they are delicious and versatile. They are mostly served toasted with your favorite toppings for breakfast such as Vegemite (an iconic Australian spread) or scrambled eggs, but they are also enjoyed as snacks or even as a fun kids' meal. We need you to inspire mums to express their creativity through Tip Top’s English muffins with a very memorable, catchy and shareable video. How would you top yours? Create an entertaining and surprising musical video where a mum expresses her mood with her own version of Tip Top English Muffins. Format: Video or animation – maximum 30 seconds.